The Alunar Prusa i3 3D printer is a DIY kit based on the popular RepRap design. Made from piano-black laser-cut acrylic frame, it supports a variety of materials with its heated print bed and hot end that can reach 240°C. 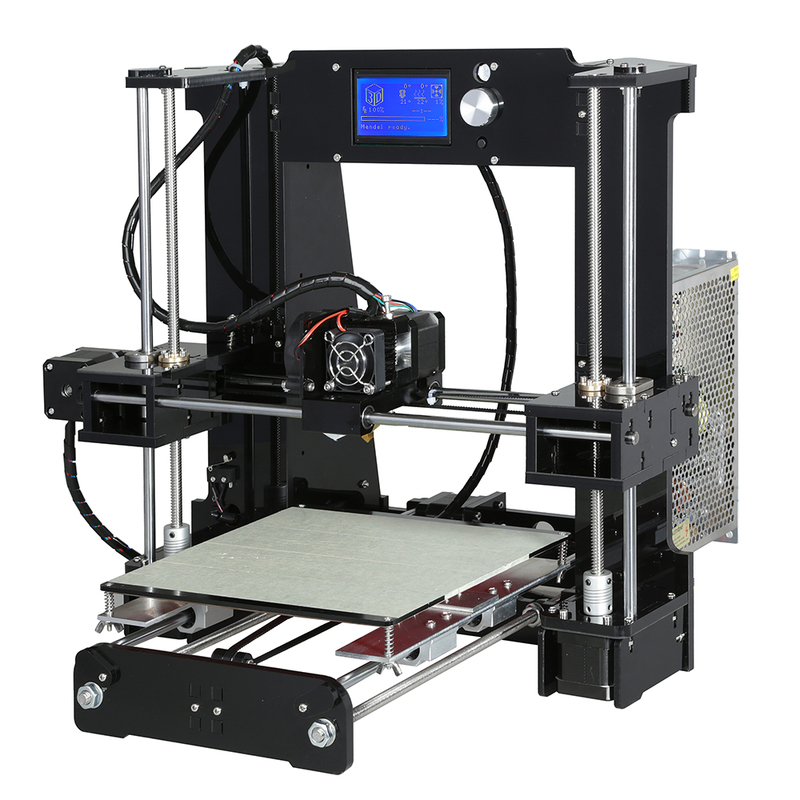 The Alunar Prusa i3 3D printer is a low cost kit based on the popular RepRap design. It requires assembly, which is good for the 3D printer enthusiast because it allows them to understand in-depth every aspect of their 3D printer. By assembling the device, you will literally get to know your printer inside and out. The device has a heated print bed and a metal hot end that reaches a maximum temperature of 240°C, allowing the printer to go beyond just ABS and PLA filaments to support a wide variety of other materials. Because it based on an open source design, the Prusa i3 has a large base of community experience and support. 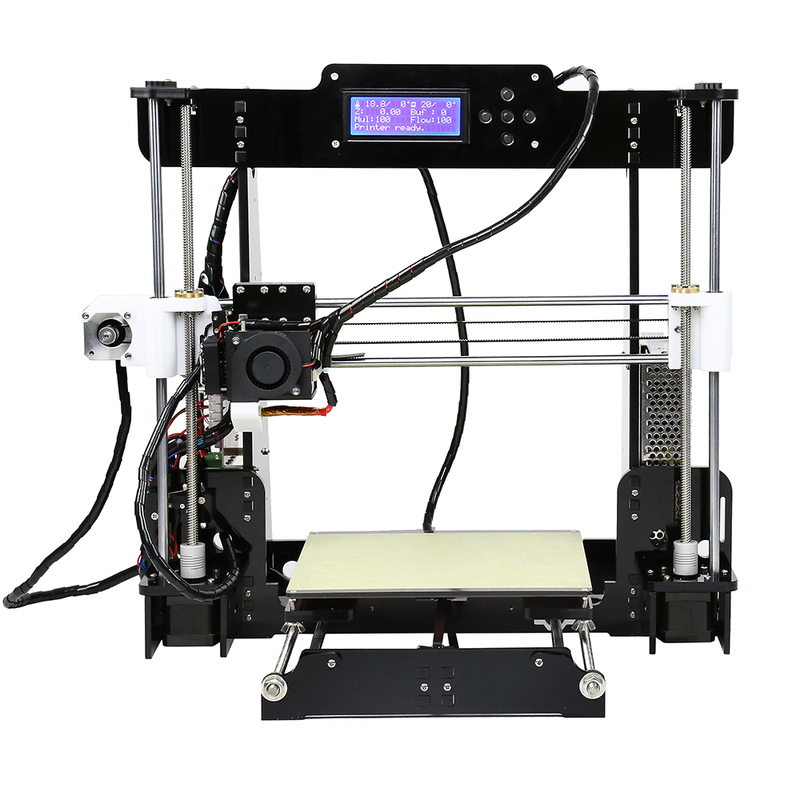 Support Many 3D Filament Types:The heated build plate and wide range of extruder temperatures allow this printer to work with many types of 3D filament, from basic filaments, such as ABS and PLA, to more advanced materials, such as conductive PLA, wood ..etc. 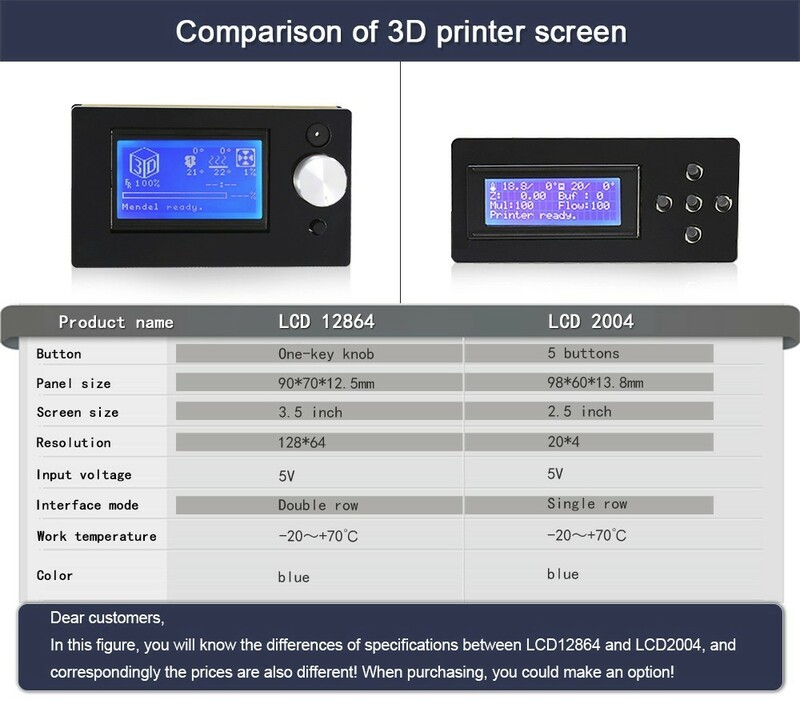 Excellent Quality Performance: Updated 12864 LCD screen to display;easy control ;customerized good quality MK8 extruder;4 stars lead screw brass nut & high import lead rod;high quality stepmotors(without interruption for 1000 work hours);updated mainboard, more function support;high quality power supply;free 3D filament and spool holder along with the 3D printer package. Compact Desktop Design: Mini desktop 3D printer.Featuring a small footprint and basic, open frame design, this 3D printer is compact enough for any desks. 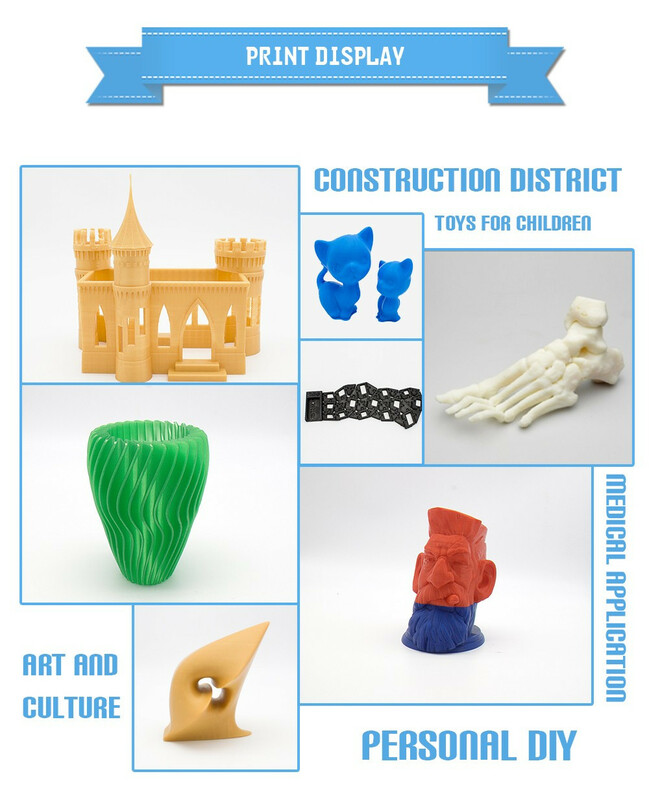 Worry Free Customer Service: Buy with confidence.Easy return and refund if you are not satisfied with our 3D printer.With professional technical engineer to solve the problems you may face when using the 3D printers. This printer is awesome, I joined a Facebook group about it and couldn't resist to buy one, everything went easy and clean, paid with PayPal, 8 days after that, the printer was in the US, the a6 was easy to build and setup up following the PDF and the YouTube tutorial. Protip: the SD card that comes with it isn't the best one, so don't remove it while your printer is on or it will get burned (like mine).